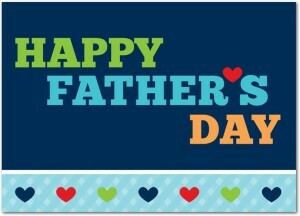 A topic that I brought up in the early days of the group was Dads & Partners. How can we support them? How can they support us? 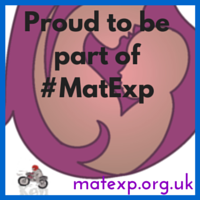 How can they be involved in maternity experience? What do they struggle with? Including Dads & Partners in the maternity experience is helpful for all concerned. It helps them to understand what is going to happen to the woman in their life, to prepare themselves for the different scenarios of birth and the postnatal period. It empowers them to help the mother and brings them together as a unit, which is of huge benefit to the baby. Informing and supporting Dads & Partners is a gift to a new family – Mark Harris of Birthing for Blokes explained at the ABM Conference last week that a well informed and prepared partner is a consistent presence for the mother, helping her every day where healthcare professionals might only be available briefly and inconsistently. Mark also explained how men are generally “goal orientated” creatures who like to understand their role and the expectations that go with it. Giving a man clear guidance as to how he can support the new mother in his life can be so helpful to the whole family. 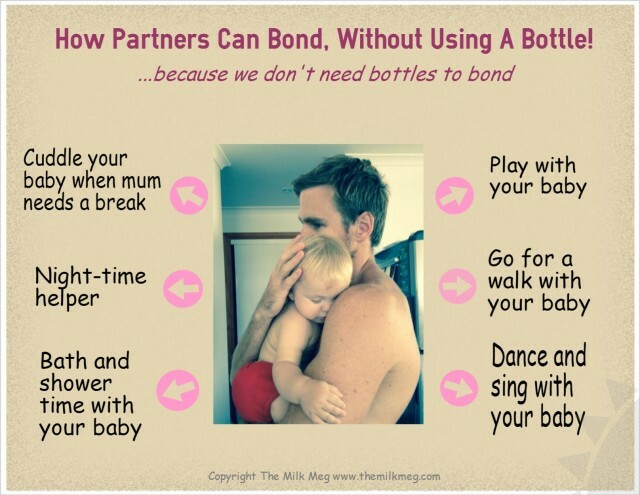 From a breastfeeding perspective, for example, there are so many things that a Dad or Partner can do to truly support a breastfeeding mother, as a great blog by The Milk Meg explains. ACTION: healthcare professionals, please make sure that you find out who mum’s “cheerleaders” are going to be in pregnancy and in motherhood. 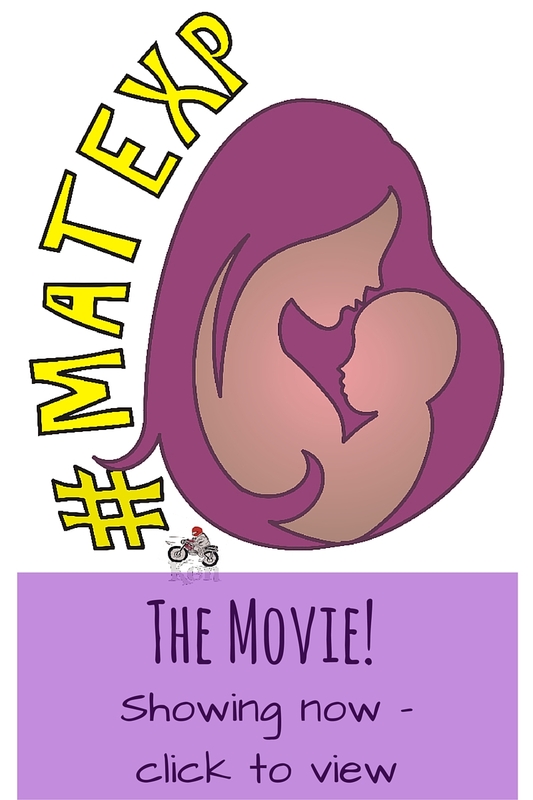 This might not be a father or a partner, it could be a grandparent or a friend, but whoever it is needs to be informed and empowered for their own benefit and the benefit of the mother & baby they care about. ACTION: parents and families, be sure to speak up if you feel that not every member of the family team is being adequately supported on your maternity journey. When talking about partners being asked to leave once the baby was born, group members described this as “shocking”, “barbaric”, “being torn away from your support system” and overwhelming feelings of loneliness and being alone when “confused, dizzy, bleeding, trying to read breastfeeding leaflets and change meconium-filled nappies in the dark.” The discussion was an emotional one, with many women feeling outrage that one half of their family and parenting team was ousted from the crucial first hours of the family and parenting experience. From my own personal perspective, choosing a homebirth with my first baby was due in large part to my utter terror at the idea of being left alone in hospital with a new baby without the one person who understands me, understands my anxieties, cares about my wellbeing and knows how to support me. 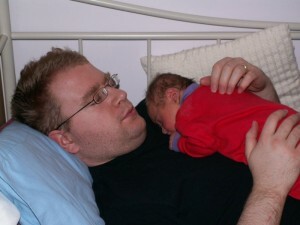 This is Phil with Edward the morning after our son was born. Overnight he had helped me to feed him, changed his nappy, settled him and by the morning we both knew as much about our new son as each other. Why should any father be denied that? ACTION: the goal of keeping families together to be at the forefront of maternity unit design. ACTION: if your maternity unit does ask Dads & Partners to leave, please ensure that marketing reps are not allowed onto the unit at times when family members are not. This is grossly unjust. Just as women can be traumatised by the birth experience, suffer postnatally with depression and anxiety and feel overwhelmed by the responsibilities of parenthood, so can Dads & Partners. Yet it was discussed on the group that men often don’t feel “allowed” to be traumatised or to be struggling. There are connections here to other themes, as feeling disempowered at the birth can lead to problems later on for the partner. Mark Williams campaigns for recognition of the needs of Dads & Partners when it comes to perinatal mental health. This post on Stigma Fighters explains some of his journey. This Fathers’ Day Mark is launching Dads Matter UK and is asking for the health service to “develop a process for the screening and detecting of PND in fathers.” To read more about this campaign please have a look at this item from the Huffington Post. ACTION: Follow @MarkWilliamsROW on Twitter and find out how you can join his campaigns. 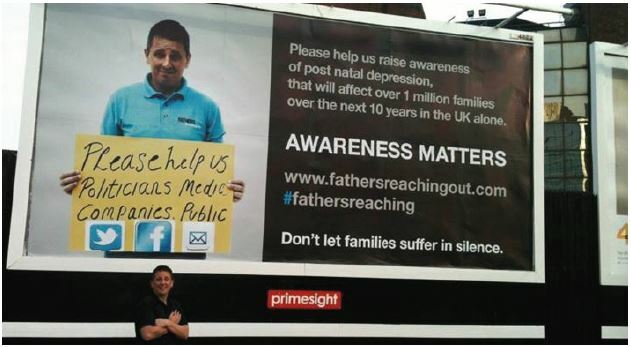 ACTION: Recognise that Dads & Partners can suffer from perinatal mental illnesses too. With best wishes to all the Dads & Partners out there, and to all those who are supporting mothers and caring for new babies. 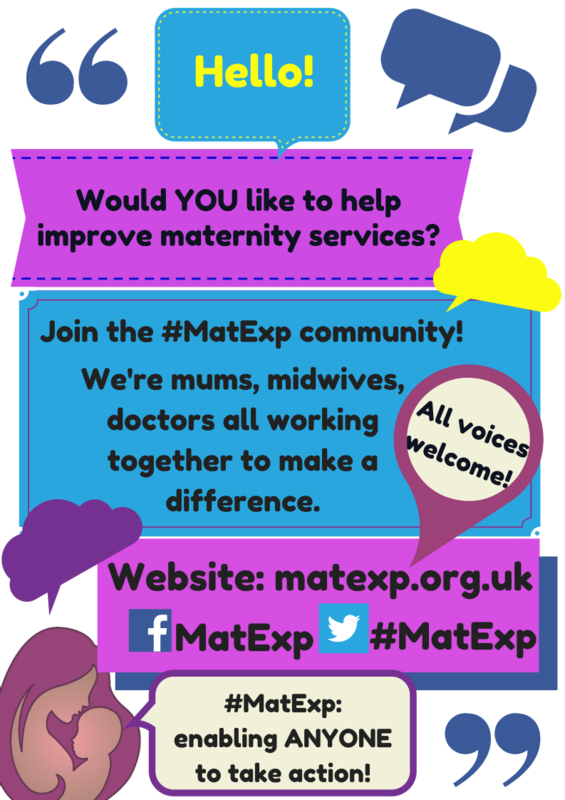 « #Matexp – Emotional Wellbeing – what do families really need?